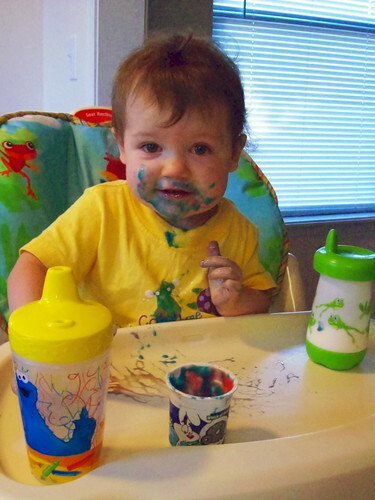 I have been letting my child have lots of fun messy times lately. 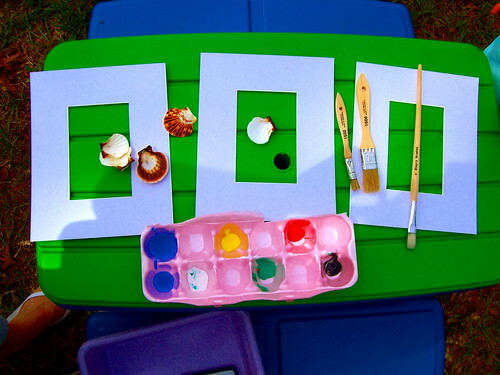 First we begin with the finger painting. I bought these photo mats from the dollar store, 2 for $1. I had her paint on them and all. Then I put a picture behind it and placed it in a frame I also bought at the dollar store. They are Mother’s Day Gifts for her grandma and nana, and one for her room. 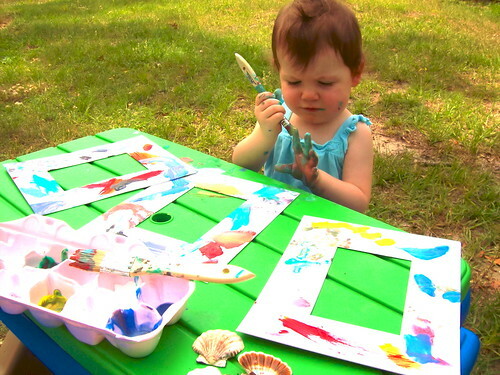 I had to help with changing the colors and stamping her hand on it, but besides that she did everything on her own. 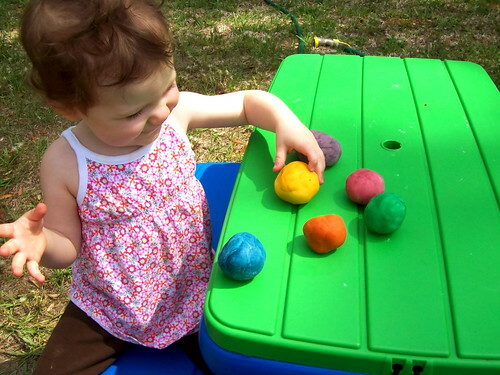 I also made her some playdough to try out. She only tried to eat it once! Here is where I found the recipe. I used the Nature’s Playdough one and I used food coloring instead of the vegees. And of course, food messes. I have been allowing her to try and eat her yogurt all by herself lately. I usually let her try to eat most things on her own, but there are still a few that I’m hesitant about since she won’t keep her bib on. Clothing just goes straight into the washing machine! Your darling is just that … darling! How old is she now?